We cannot blame one woman for decades of men’s bad behavior, especially when she was doing nothing more than fulfilling the role they created for her. Let me start by saying that I truly dislike Sarah Palin, and have felt this way since her speech at the GOP convention in 2008. I thought then that she was pandering to the worst impulses of her party. Worse, it seemed like she was a living embodiment of the disregard that the GOP establishment has for women. Rather than add a woman to the ticket who was intelligent and accomplished, they nominated Palin in a cynical attempt to pick up female Hillary supporters. And my dislike for her has only grown. That makes writing this article incredibly awkward, because I now feel obligated to defend her from those who would make her the scapegoat for the implosion of an entire political party. On Sunday, William M. Daley, who was the White House’s Chief of Staff during the first Obama administration wrote an op-ed for the Washington Post in which he made the bold assertion that “the GOP’s dysfunction all started with Sarah Palin.” No offense, but if those are the kind of shallow and sexist insights that Daley brought to the Obama administration, it is little wonder the President suffered a rough patch. But there is no denying that Daley’s story has a certain appeal. In fact, it would make for a lovely story if we could just call what has been happening in our nation for the past seven years a fluke, a mass bout of temporary insanity set off by the woman from Wasilla. It might even offer a plausible explanation for why the Right is embracing Donald Trump and eschewing what Daley and others call the “grown-ups” of the Republican party. But here is what Daley and many others have conveniently forgotten: The Republican party had been a teasing the Christian Right for 28 long years before Palin came along. If they want to know where the dysfunction started, they need to go back at least as far as Reagan. Reagan made a deal with the Christian Right that every GOP candidate since has endorsed. They said that if the Christian Right would offer Republicans their enthusiastic support, the GOP would enact the Christian Right’s moral agenda. And then every single time, they ignored the Christian Right’s agenda as soon as they got into office. No one leaned on the Christian Right as much as George W. Bush. He went so far as to give them an office in the White House from which they could launch faith-based initiatives. But of course, he ignored the office and the suggestions it created. Like every other establishment Republican, George W. treated the Christian Right like a girlfriend that he was embarrassed of, but had to go through the motions of dating because he needed her daddy’s money. He stuck the Christian Right in a corner and only brought it out when he needed something. By 2008, the Christian Right had truly had enough. Their leaders felt humiliated by the snubs they routinely received. They were no closer to banning abortion, and despite their best efforts, gay people were starting to gain human rights. There was no way that they were going to line up behind another establishment Republican who would give them lip service but no results. They wanted someone who didn’t just know their language, they demanded someone who shared their goals. The GOP had been racking up a tab for champagne and caviar for 28 years. They invited Sarah Palin to the table just as the check came. Then they all excused themselves to “got to the restroom” and left her with the tab. We cannot let the blame fall on one woman for decades of men’s bad behavior, especially when she was doing nothing more than fulfilling the role they created for her. 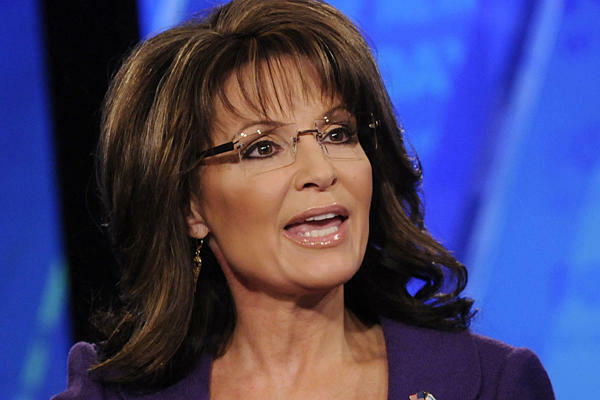 Sarah Palin may have provided the tipping point for GOP politics, but she is in no way the author of it. She didn’t create the party’s anti-intellectualism, she just rode that wave. She didn’t teach an entire nation that unions are bad and that governing is for amateurs, she just repeated the nonsense that she learned from Beck, Limbaugh, and the other men of the Right’s insanity parade. During the 2008 elections, Susan Sarandon was asked what she thought about Sarah Palin. Sarandon quoted fellow actor Ed Harris saying that she thought Palin would make a very interesting footnote in the Annals of Moose Hunting History. I think they got the wrong publication, but Harris and Sarandon were right when it comes to the role that Palin has played in our history. She is a footnote, a really interesting footnote, but a footnote nonetheless. She hasn’t really created anything—not dysfunction and certainly not the woes of the GOP. The men of the GOP created this very fine mess in which they now find themselves. And we must hold them accountable, not the woman from Wasilla.